When it comes to really giving your business the best foundation, what steps come to mind? For many, things like marketing or hiring the right employees are the foundation of their success. But at Technalink, we’ve seen firsthand that some of the biggest benefits to a business are often the most surprising. A perfect example? Meditation. Mastering meditation can be a key part of soulful leadership and have a direct impact on your business’ future. Luckily, it isn’t really that difficult to do, either. Here are a few of the basic tips you can keep in mind to help you master meditation and get more from your business and your employees. • Start By Learning The Basics – If you don’t fully understand meditation, you’ll never be able to use it in the workplace or to help your employees with it. As such, it’s always important to begin by learning the basics and mastering the fundamentals of soulful leadership and meditation. • Introduce Employees – Next, introduce your employees to your meditative process. Show them the benefits that it offers and then help them with answering their questions. Consider doing a basic introduction to meditation in the workplace class if they want to do so. 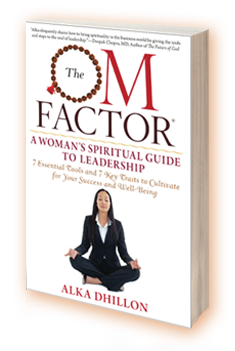 • Provide Time Each Day – Meditation won’t work if you don’t give your team time to use it. As such, it’s worth thinking about setting up a specific time each day that you can let your employees use for prayer, reflection, or – preferably – meditation. This lets everyone find a way to ground themselves and focus their thoughts in the best way possible. • Provide Resources – Whether it’s mala prayer beads to help them focus their attention during the process or just some literature to make it easier to meditate, give your employees some tools and resources that they can use. It will help them get even more from the process. These simple tips are all you need to start mastering meditation on your own and then introduce it to those who are on your team. Doing so could have a huge impact on your future and the future of your business.